Sign up for festival updates and the latest Off The Rails news! 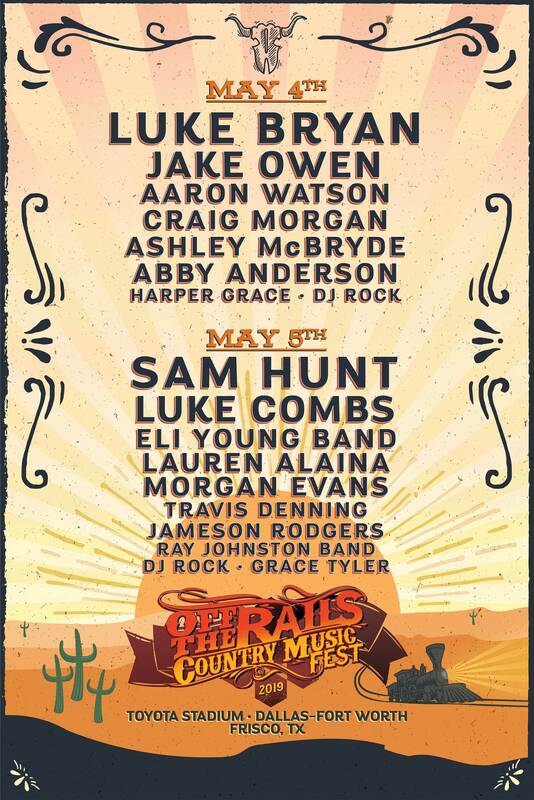 Off The Rails 2019 is featuring Luke Bryan, Jake Owen, Sam Hunt and Luke Combs. Book your room now with one of the Off The Rails hotel partners.